From I -45 South- Exit League City Parkway and take a left. Go down 4 miles. Turn right on Mar Bella Parkway. Turn right on Village Way. Turn left on Formentera Place. Turn right on Daroca Dr. House is on the right side. Hello, I’m interested in 2223 Daroca Drive Drive and would like to take a look around. 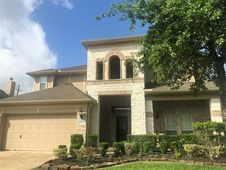 The details on 2223 Daroca Drive Drive: This house located in Mar Bella, League City, TX 77573 is currently for sale for $325,000. 2223 Daroca Drive Drive is a 3,219 square foot house with 4 beds and 3.5 baths that has been on Estately for 3 days. 2223 Daroca Drive Drive is in the Mar Bella neighborhood of League City and has a WalkScore® of 15, making it car-dependent. This house is in the attendance area of Bayside Intermediate School, Clear Falls High School, and Sandra Mossman Elementary School. Listing Courtesy of: HAR and Champions Real Estate Group.